The inception and the subsequent popularity of the Internet have had a profound influence on our lives. Today, we rely heavily on the online medium to gain access to information regarding a variety of product and services. Thus, it is imperative that business enterprises across the globe strive to gain an online presence, to cater to the needs of their target audience. 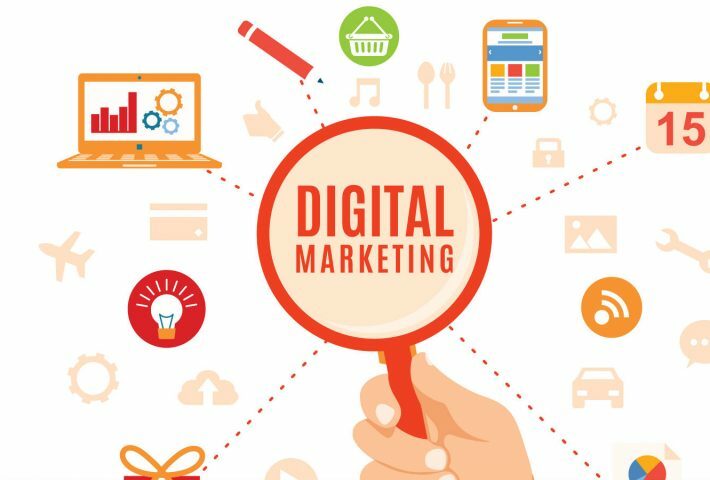 Digital Marketing, which essentially means advertisement through online channels such as websites, search engines, social media, mobile applications, and email, is a prerequisite, especially for start-ups. Garnering online visibility enhances the chances of acquiring new leads, spreading brand awareness which eventually leads to goodwill in the market for business enterprises. For businesses, it is extremely important to possess an SEO-friendly website. But how do you make your website SEO friendly? To answer this question, one must have sound knowledge of the intricacies of Search Engine Optimization, and what it means in the truest sense of the term. In a nutshell, this what SEO essentially means. It is an integral part of Digital Marketing, something every business must incorporate in their regime. Hiring an SEO analyst or a company that provides personalized SEO services will prove to be extremely beneficial for your cause. The meteoric rise of social media and the relevance it has on our lives signifies the importance of using this medium as an effective marketing channel. Social Media websites like Facebook, Instagram and Twitter offer entrepreneurs and business enterprises the opportunity to market their product and services to the target audience. Making full use of this platform is an essential requisite for businesses. Social media websites are an effective platform for marketing because you can reach out to your target audience, customize the reach according to your budget and track down potential leads. Startups must have a clear vision regarding the kind of online users they want to attract and the amount of money they can spend on this marketing practice. The ROI should be your primary concern while doing Facebook or Instagram ads. Businesses need to be aware of the ever-changing algorithms of social media websites and strive to engage the audience with the content they want to promote. While at the initial stages of your business, it is critical that you draw as many users as you can to your website. High traffic will further lead to enhanced chances of conversions. Pay Per Click (PPC) is an internet business mechanism that allows you to draw direct traffic on to your website at a price which needs to be paid to the host website. Engaging with your target audience is an important aspect of digital marketing that can be accomplished with the PPC model of online marketing. The revenue model again must be carefully constructed, and it must adhere to the budget. Once startups start to gain online visibility, they can effectively engage the audience and start acquiring loyal customers. A successful PPC campaign helps startups gain a substantial customer base, and also enhanced brand awareness. Engaging with the target audience benefits businesses in gaining more leads coupled with a high website traffic volume. It is a cost-effective way to interact with targeted customers. An extensive analysis of user behavior, their likes and dislikes are a must before starting an email campaign. A business can not only consolidate their existing customer base but also build brand loyalty through this marketing module. Every Business must have a clear content marketing strategy to become a successful brand on the internet. There are certain fundamentals which you must address before creating content for your website. Knowledge about your own product and services and how relevant they are to your target audience is essential. The content on the website of a business should not simply be a propaganda text, but it should talk about in detail how it solves real-life situations for prospective buyers of a product or service. Moreover, content must not be simply targeted to potential customers, but it should also cater to the existing customers. As the world of global technology evolves at the end of each passing day, business organizations, especially a business must absorb the latest digital marketing trends to become a successful enterprise. The world of Digital Marketing is vast, and it has plenty of elements. It requires an understanding of these the intricacies of digital marketing to be a successful business enterprise.